Film is a passion of mine that inspires me to capture images in a way that gracefully represents the world and the lives in it. It allows us to manipulate time and the way in which things happen. This can be unsettling because it suggests that nothing is as it seems or appears, which is certainly true in some if not all instances. On the other hand, it allows for the possibility to create worlds that elude the restrictions of time and place. This is what makes film beautiful and renders it art in a way that no other expression of creativity can. This past summer I took a film production class and made three short (very short) films. Although not the first time I attempted to create short films, it was the first time I had access to professional equipment and instruction. I had attempted to make a couple little films (music videos) some years back when I was younger and less experienced, and however amateur they were, they propelled my interest of film-making. Therefore I jumped on the opportunity to take a class in which I would learn more refined techniques and be able to use better equipment. The result were two literary and historically inspired silent pieces, which although not perfect by any means, I am quite proud of. As a group project I also made a dialogue scene, which I am less enthusiastic about. But overall, they were so fun to make and certainly would not have been the same without the people in them. I really hope to make some other films, as I enjoy the whole creative, filming, and editing process so much! I also love watching films, which is perhaps why I became interested in making films. My favorite director is Jean-Luc Godard (set aside the cliche please!) because his dialogue and symbolism are unquestionably original and inspiring. 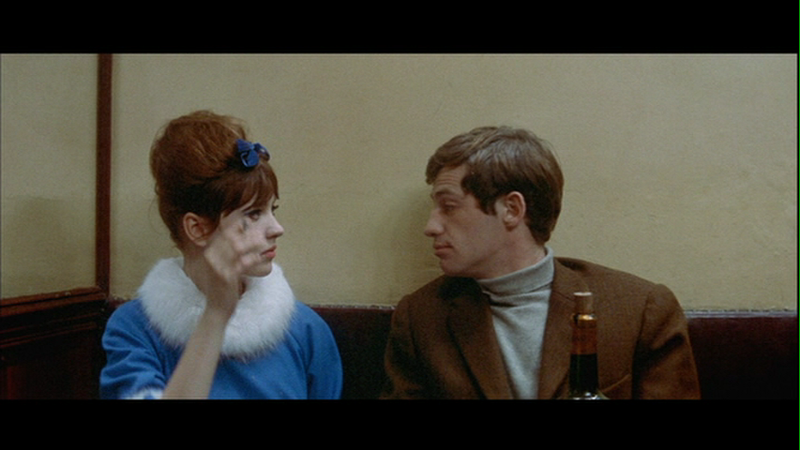 The actors in his films are also the best, Jean-Paul Belmondo & Anna Karina in particular.